The sudden death of Cranberries singer Dolores O’Riordan at the age of 46 has shocked fans, who remember the band best for rock pop 90s hits such as the yearning love song Linger and the politically-charged Zombie. O’Riordan, the youngest of seven children, was born in Limerick, Ireland, and began writing songs when she was 12-years-old. She joined the band – then called The Cranberry Saw Us – when she was a teenager, after answering an advert for a female singer to join brothers Mike and Noel Hogan and Fergal Lawler. Soon after, the name was shortened to simply The Cranberries. While their subsequent demo started a bidding war between UK record companies, their first EP was not a success and they soon changed managers. Notoriously hard to crack for British and Irish artists, it was actually the US which gave the band their first taste of big success. The group spent six months touring the States in 1993 – their first album, Everybody Else is Doing It, So Why Can’t We?, originally peaked at number 78 on the UK chart but after US fans packed stadiums to see them support Suede and they came to the attention of MTV, the album went platinum on both sides of the Atlantic. Some fans were a bit bemused by her earlier performances – according to a 1995 piece in the Orlando Sentinel, “even staunch followers were less than dazzled by the band’s early live shows. O’Riordan refused to face the audience, standing sideways while she sang”. READ: If Carrie Fisher Couldn’t Beat Bipolar and Addiction, How Can I? The reason was shyness but she would soon come out of her shell. And it wasn’t just the US, Ireland and the UK who were enthralled by O’Riordan and her cohorts – they were a hit across the globe, including Asia. She often recalled being a bit of a rebel in her youth: ” The boys (her brothers) were always allowed to come home late, do all the things I wasn’t allowed to do because I was a girl,” she told Melody Maker in 1994 when she was 23. “Any time I went to a disco – until I was 19 years old! – one of my brothers would have to go with me. That seemed so old – like, nearly dead! And still not free, either! Her free spirit led her to hurtling down a mountain at top speed while skiing in 1993 – even though it was her first time on the slopes. She underwent major surgery and was left unable to run again. O’Riordan married Don Burton, Duran Duran’s former tour manager in Tipperary a year later, wearing cream knee-high boots, lace tights, and a see-through wedding dress. The couple, who had three children along with Burton’s son from a previous marriage, split in 2014 and later divorced. While O’Riordan and her bandmates went on to enjoy huge success with their first two albums – the second, No Need to Argue, was released in late 1994 – their peak commercial success was relatively short-lived. The third album, 1996’s To the Faithful Departed, could not live up to its predecessors in terms of sales and the band cancelled an Australian and European tour later that year. Bury the Hatchet, was released in 1999 but only made it to number 7 and 13 in the UK and US charts respectively, although their world tour, which they embarked on the same year, was a big success. Their next album, Wake Up and Smell the Coffee, came out in 2001 and peaked at number 61 on the UK chart. 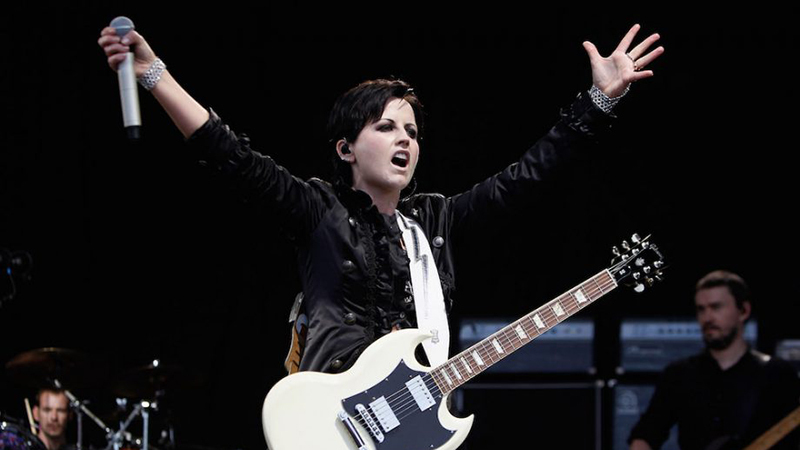 The Cranberries split in 2003, and O’Riordan briefly pursued a solo career before the band reunited in 2009. They made the album Roses, which was released in 2012 and an acoustic Cranberries album titled Something Else came out in spring last year, featuring three new songs as well as re-workings of older tracks. The Cranberries then announced a tour including dates in Europe, the UK, and the US. 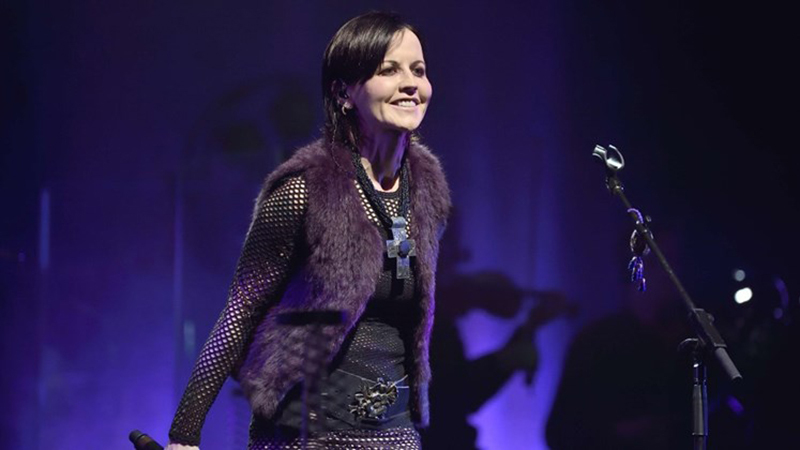 But in May – shortly into the European tour – the group had to cancel the remainder of the European dates as a result of O’Riordan’s health issues. 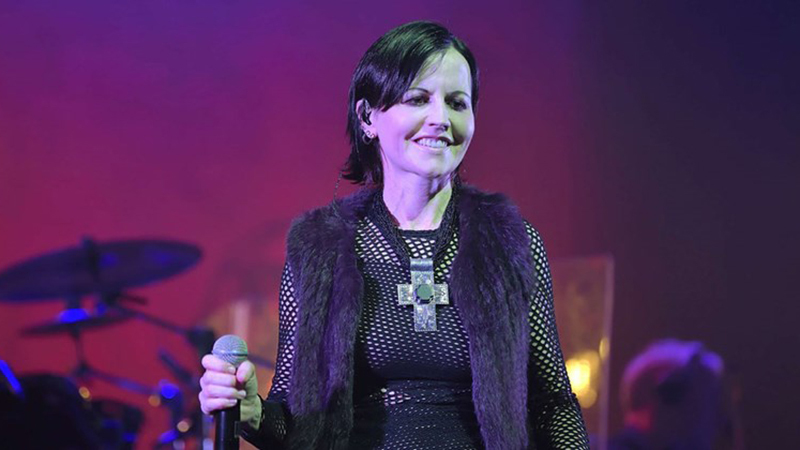 The official Cranberries website said the singer had “an ongoing back problem” which prevented her from performing. Then just before Christmas, O’Riordan posted a message on Facebook saying she was “feeling good” and had done her “first bit of gigging in months”, leading fans to believe she would soon be performing again. As the frontwoman and only female in the band, O’Riordan was always the focus and she admitted she found fame difficult, taking time out away from the spotlight as she hit her 30s. “I just wanted to stay at home, do the laundry, take my children to school. Just switch off and be a mother… I became a volunteer at my children’s school, I went into the classroom. It was very grounding. I got sick of being famous,” she told The Independent in 1999. The singer has also been open about her mental health. O’Riordan was arrested over an alleged air rage incident in 2014 but was released without charge, after a stewardess was reportedly attacked on a flight from New York to Shannon, County Clare. Two years later, the singer was ordered to pay 6,000 Euros (£5,300) to charity for headbutting a police officer after a separate alleged air rage incident. She was later diagnosed with bipolar disorder in 2015, which she said explained why she was in a “manic” state on the plane. In an interview in 2013 she said that she had been abused as a child, which led her to develop an eating disorder, and she subsequently suffered a breakdown. O’Riordan described her family, especially her children, as her “salvation”. The singer also acknowledged her songs were often borne of melancholy. “I write at my best when feeling negative,” she told a Sydney press conference ahead of their Australian tour in 1996. “When I’m happy, I prefer to go to the pub and have a Guinness or two – I guess I’m a bit of a melancholy type of person.